The registration desk is already placed at N-Block and S Block. 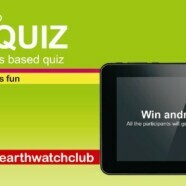 Students can visit us there to get more information and register for the quiz. Registration charges are Rs 100. There will be 7 MCQs from each above mentioned three topics.